Je’rell Springer is hoping to impress recruiters after missing nearly all of his senior season with Desert Pines’ boys basketball team. Je’rell Springer’s plan was to use a big senior season with Desert Pines’ boys basketball team as a springboard to a college scholarship. It never came to fruition. Springer was embroiled in an eligibility battle with the Clark County School District and the Nevada Interscholastic Activities Association and played one game for the Jaguars this past season after transferring from Shadow Ridge. 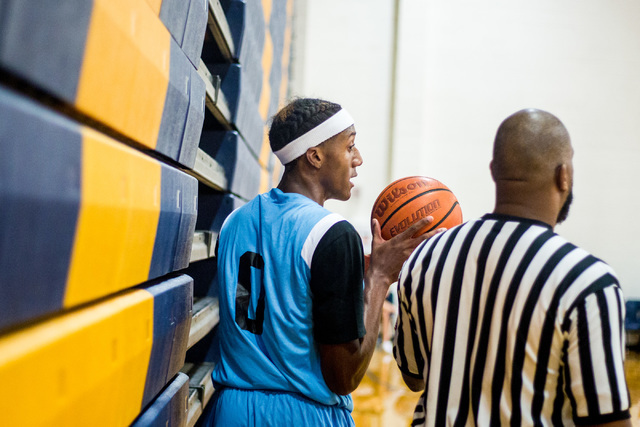 Now, the 6-foot-6-inch guard/forward is hoping his performances on the travel basketball circuit are enough to convince recruiters before the spring signing period begins April 12. Springer was a third-team all-state pick as a junior at Shadow Ridge and ranked as one of the state’s top recruits in the class of 2017 by every major internet recruiting service. Springer was expected to be a major contributor for Desert Pines but was denied eligibility by CCSD and also by a hearing officer, according to NIAA assistant director Donnie Nelson. Springer received a temporary court order that allowed him to play Jan. 21 against Clark, but he struggled and finished with seven points on 1-for-14 shooting in a 58-56 loss. Springer’s final attempt at playing for the Jaguars also was denied during a judicial review in district court, and Desert Pines went on to win the Class 3A state title as Springer watched in street clothes. Springer impressed last summer with 702 Attack and was drawing interest from several schools, including UNLV, before his senior season. 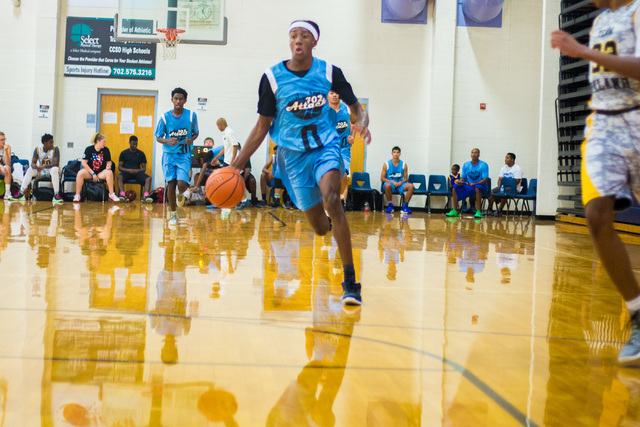 Springer impressed at the NC Spring Phenom 150 camp this month in Greensboro, North Carolina, and said he will rejoin 702 Attack at tournaments during the NCAA’s April evaluation period. Springer has scholarship offers from Pacific and Southern Utah and confirmed he also is weighing the option of attending prep school next season. Ten area athletes were selected as Student-Athletes of the Year in Southern Nevada by the NIAA and will be recognized during a banquet April 26 at Orleans Arena. The winners are: Emmalyn Barnum (Virgin Valley), Bethany-Anne Calvert (Pahrump Valley), Trey Chauncey (Las Vegas), Bailey Cunanan (Basic), Anna Dobbins (Las Vegas), Marckell Grayson (Desert Pines), Nicholas Harris (Pahrump Valley), Brayden Johnson (Virgin Valley), Gavin Mangan (Basic) and Samantha Pochop (Rancho). Follow all of our Nevada Preps coverage online at nevadapreps.com and @NevadaPreps on Twitter.